Hi! 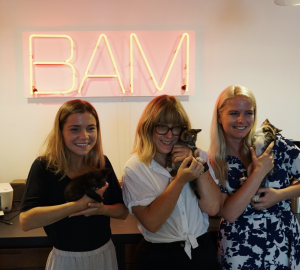 I’m Hannah and I’ve been working and learning alongside this chic squad of ladies (+ a couple of rad dudes) here at BAM for a couple of months now and loving every minute! I’m currently a business student at Point Loma Nazarene University and I came into college hoping to pursue a career in real estate development. I met BAM’s CEO, Beck, while working on a class project and that was when I had my first real glimpse into the world of PR. Chatting with her made me realize that this industry I knew nothing about might be something I’d really enjoy. I joined as an intern in June and the crew here has done nothing but exceed my expectations. I have a rockstar supervisor who had me dive into hands-on tasks my first day and taught me so much from the start. Coming in with no prior PR experience made me pretty nervous, but the entire team has helped me to grow so much. I’ve done research for client accounts, drafted social media content and written pitches. 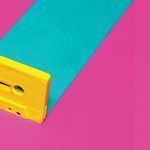 My typical day starts with reading up on tech news or what’s happening in the industries that our clients are in, jamming slightly to whatever fire playlist our office DJ has in store for the day, sitting in on a client call, and usually a couple of writing or research tasks. This internship has taught me proactivity on a whole new scale. There is also a strong value placed on building relationships here whether it’s with clients, media contacts, or each other. It’s a huge part of the work we do and it’s been one of my favorite things to be a part of. I am hoping to continue pursuing a career in PR when I graduate this December. Hi! 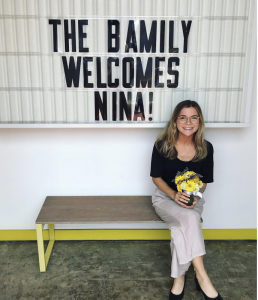 I’m Nina. I graduated from Cal Poly San Luis Obispo this spring, and am interning at BAM as part of my final internship capstone course – which upon completion of I’ll officially graduate and get my diploma! Pitching Media lists – I do a lot of research to support coworkers as they pitch new story ideas to reporters about our clients. I’ll research relevant reporters to pitch and compile them into a media list – for example, for an Agriculture-related client, I’ll look up reporters who write for Agricultural trade journals, or for large magazines that have an Agriculture reporter. Media Briefings – A big part of PR is prepping clients in dealing with the media. To that end, if a client has an upcoming interview, I’ll do a write-up of the interviewer and outlet to provide them with some background and better prepare them for it. I love startups and entrepreneurship so BAM is a really fun environment to be in because those are the kinds of clients you’re working with and learning about all day long! The office! It is so helpful for productivity to be in a beautiful office with ample natural light. Dog Days! Nothing better than having coworkers’ adorable (and crazy well-behaved) dogs in the office. 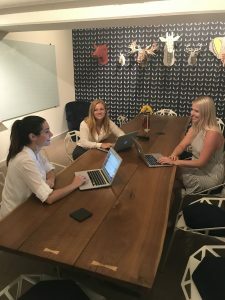 Working with strong women – so unique to be in an office that’s predominantly female and LOVE it. 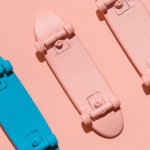 Love the #GirlBoss culture and something that I also think is unique to PR more than other industries! Be flexible – know deadlines of assignments but other than that you have to be flexible on what you’re working on every day because things will come up! PR is fast-paced. Follow-up – I was never used to sending follow-up emails before interning here. People are busy and follow-up emails are not rude, they’re helpful! People will often just miss your email the first time around if they’re having a busy day. 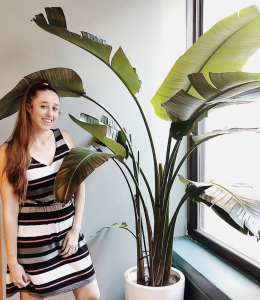 My name is Dana DeRiso, and I am a BAM NYC intern. I am from Long Island, NY, and am going to be starting my senior year at St. John’s University this upcoming September. I am a Communications major and Fashion Studies minor. After graduation, I would love to secure a job in the realm of Public Relations, and possibly acquire my masters a couple years down the line. News scans and media lists have been a part of my daily responsibilities since I started at BAM. I definitely find doing these to be helpful, as they let me learn more about our clients and their respective industries. More recently, I have been given the task of updating the media updates and coverage trackers. I have also done event research, attended a media meeting, written a briefing document, and even pitched someone! Before BAM, I have never had any real PR experience, so my time here has been incredibly helpful and educational. I love that am actually doing real, worthwhile work. A lot of my friends have internships where they do typical busy-work, like making copies or filing papers, whereas I’m doing work that contributes directly to BAM and our clients. Working here is not only giving me the chance to apply my studies in the real world, but also allowing me to acquire new skills and garner real, firsthand experience that will benefit me in the future. Mike manages marketing, overseeing email, social media, SEO and web design initiatives. His expertise in digital marketing helps lead the agency’s digital marketing for clients in the cybersecurity, consumer electronics, executive education, financial services, healthcare, mobile/wireless and telecommunications industries.